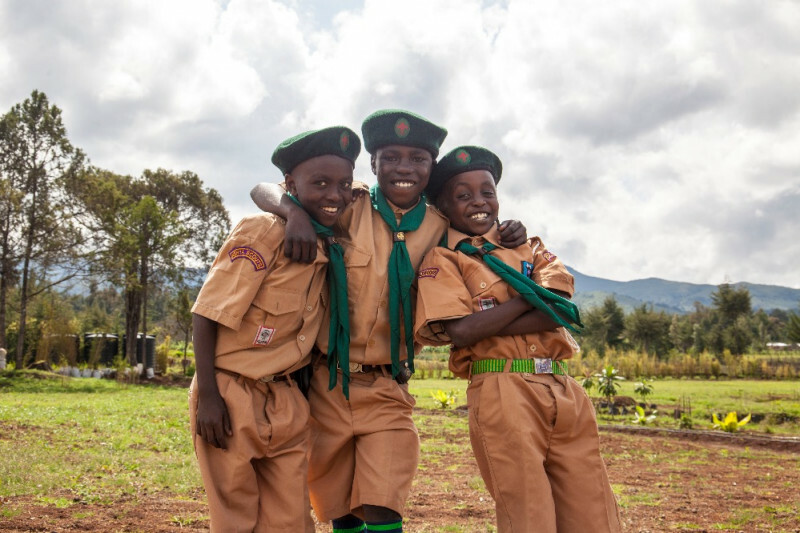 A few weeks ago I received an email from Simon Senegy, the head of the Flying Kites Scouts Program in Kenya. Reading it, I was embarrassed. Simon told me that our Scouts had spent the weekend camping with other troops, and that the other troops had ridiculed them for their "make-shift camping gear." Where other scouts had sleeping bags, our kids packed wool blankets. And all 40+ of our scouts shared the same harness and climbing shoes. 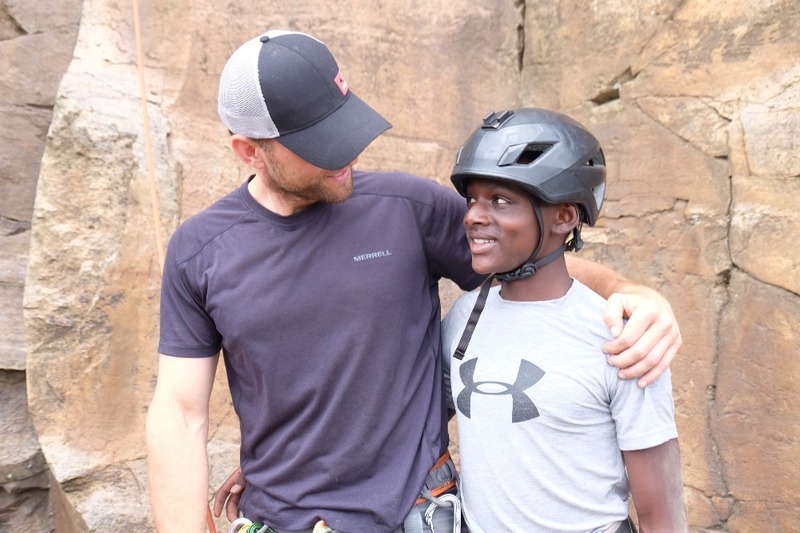 In the context of where our students have come from, - some of the poorest families in rural Kenya, - I know that programs and gear for the outdoors might not seem like a top priority -- but our students embody resilience, grit, grace and perseverance, and the work we do with them outside of the classroom is critical to developing the well-rounded leaders they are becoming. 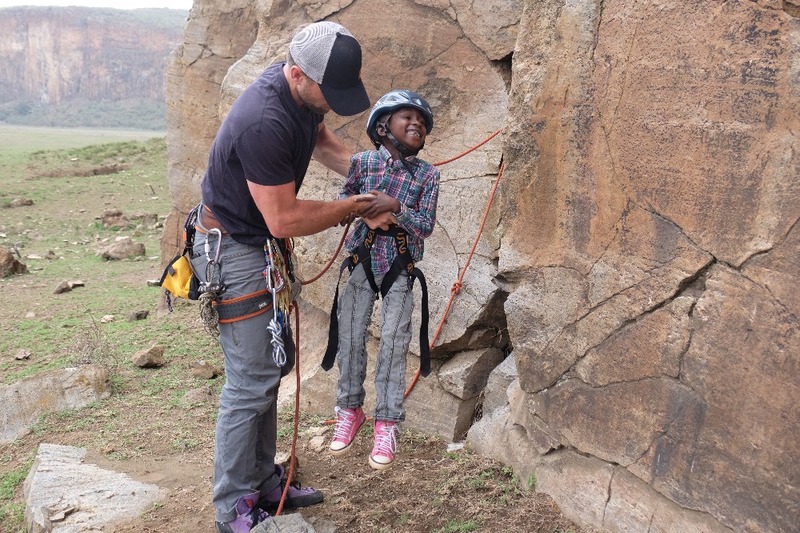 Not to mention, these kids absolutely LOVE the outdoors, and it's incredible to watch them embrace new experiences and step outside of their comfort zone. 2. Construct an on-campus climbing tower so that the kids can practice their love of rock climbing on a daily basis. rt is vital to alleviating suffering, increasing gender equality and promoting economic sustainability. By meeting the needs of the whole child, our integrative programs give students the tools they need to build their best lives and positively impact their families, communities and country. Du tätigst eine Spende unter Verwendung eines PayPal-Kontos oder einer Kredit-/Debitkarte an PayPal Giving Fund (eine 501(c)(3) Wohltätigkeitsorganisation). *Wenn PayPal Giving Fund die Spendengelder nach angemessenen Bemühungen nicht der entsprechenden Wohltätigkeitsorganisation zukommen lassen kann, können die Gelder gemäß den Richtlinien von PayPal Giving Fund stattdessen einer anderen Wohltätigkeitsorganisation übergeben werden.